I wish our society was not so celebrity obsessed. It has some obvious negative consequences (Exhibit A: Donald Trump for President). It also chews up and spits out individuals. 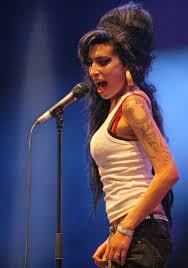 The movie Amy about the late soul singer Amy Winehouse was hard to watch as a beautiful and talented young woman was chewed up and spit out by the celebrity entertainment machine. The people surrounding her, including her husband and father, were more interested in exploiting her than in protecting her. We think of celebrity as a modern phenomenon intensified by social media and 24 hour news cycles. Recently I read two biographies—one about the Wright Brothers and one about Charles and Anne Morrow Lindburgh. All were famous for achieving something brave that captured the public’s attention. And as a result, all were subject to an intense amount of public and press attention. For the Lindburghs, it was often suffocating and tragically resulted in the kidnapping and death of their first child. Journalists did not let up in spite of the tremendous impact of their collective actions. The kidnapping was in the early 1930s—well before television. Yet the willingness of journalists to trample on their privacy for a story or a photo was relentless. Even earlier in history, Oroville and Wilbur Wright invented flight in 1904. They toiled away at Kitty Hawk, North Carolina in obscurity for several years and then caught the public’s imagination with their aerial demonstrations. 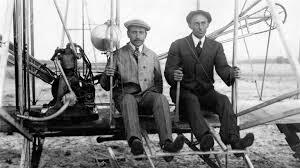 People in Europe and America could not get enough of the Wright brothers. According to biographer David McCullough, they handled the pressure and attention extremely well without letting it change them. This can be attributed to the wisdom of their father, Bishop Milton Wright. As fading lines of even. David McCullough, The Wright Brothers New York: Simon and Schuster, 2015, p. 188. Once upon a time people did not seek out fame as an end in of itself. Celebrity used to be connected to achievement. David Brooks in his book, The Road to Character, decries the change from the culture of humility to the culture of the Big Me. It wasn’t hard to find such data. For example, in 1950, the Gallup Organization asked high school seniors if they considered themselves to be a very important person. At that point, 12 percent said yes. The same question was asked in 2005, and this time it wasn’t 12 percent who considered themselves very important, it was 80 percent. David Brooks, The Road to Character, New York: Random House: 2015, page 6. I remember when I was managing and employee in the advent of reality television. At the time there was only MTV shows and Survivor. I asked him about his career goals and my mouth dropped open when he said that one of his goals was to be a reality tv star. I think I may have even said, “That is not a career goal.” My statement was very out of touch to the new realities, but like my grandparents with their “I remember when bread was a nickel.” I remember when fame was connected to some real achievement. Are we at the apex of the Big Me? How will we recover? This is one of David Brooks’ motivations for writing The Road to Character. He wanted to provide profiles of what he sees as real leadership in the same way a chef wants to give us real homemade food to put the instant processed food in context. How else can we raise the flag of leadership in service of others?